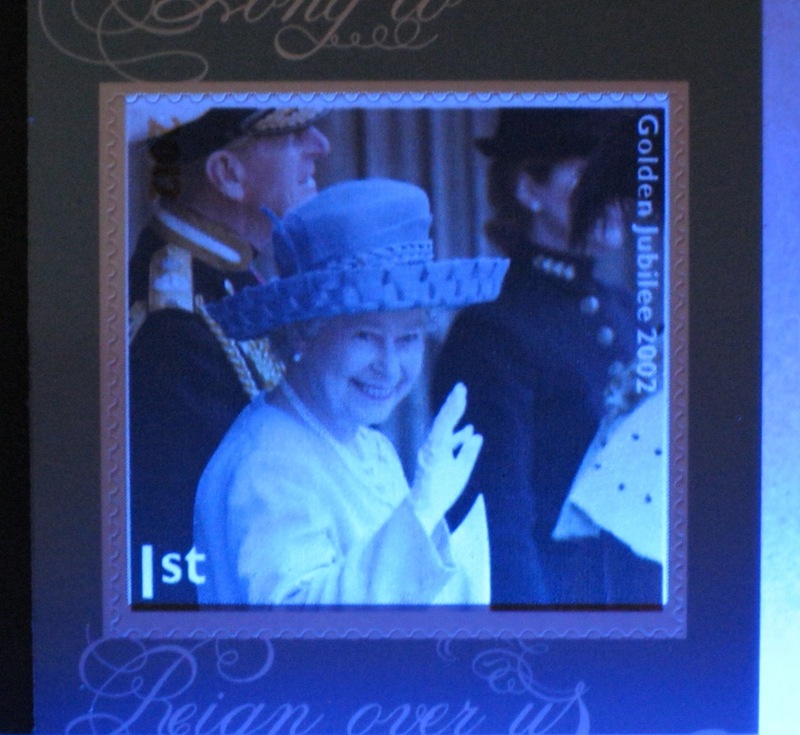 The Diamond Jubilee Commemorative retail booklet has been delivered and we can show these images, courtesy of Chris H.
As expected, the source code is MCND in the usual position. Quite a high proportion of the booklets have phosphor band short at the foot, to a greater or lesser degree. 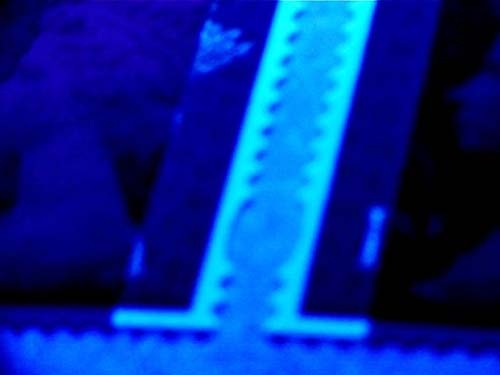 Some are almost 1mm clear of the top of the perforation hole. 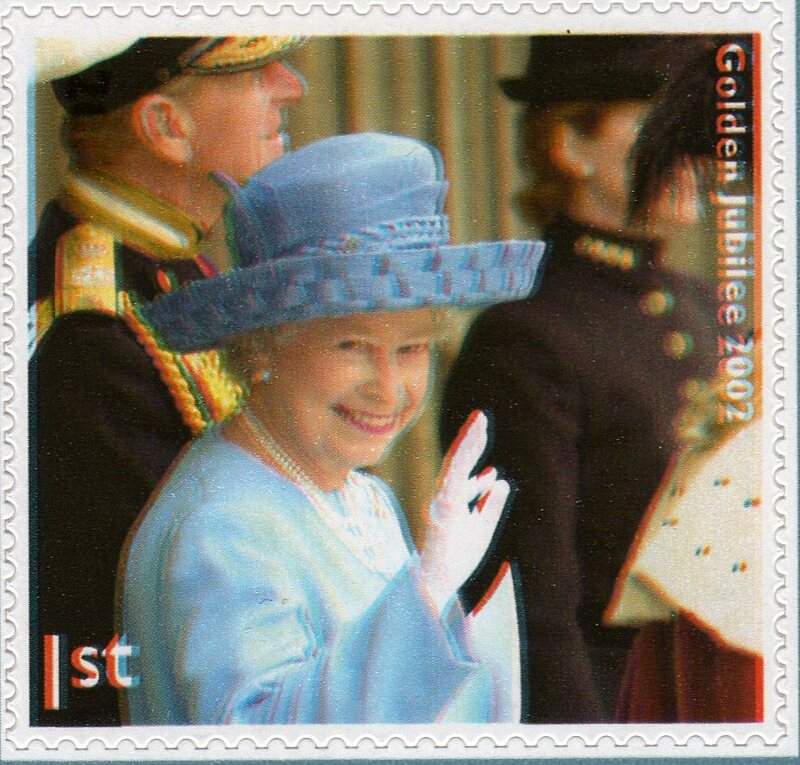 This also affects the commemorative stamp, as shown. We don't yet have the sheet stamps or the prestige books but will report on them next week. This is another summary of snippets that I have been sent over the last couple of months. Some of these might have warranted a full blog entry had time been available, but it wasn't, hence the round-up now. 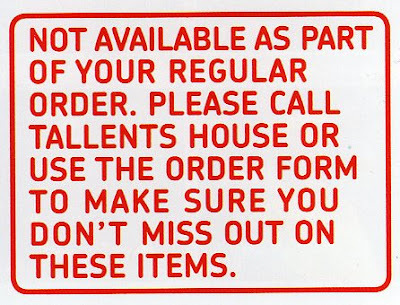 This is from a 2nd class Business Sheet with no year code - 2009. And when I checked my stock I found that they were all like that! 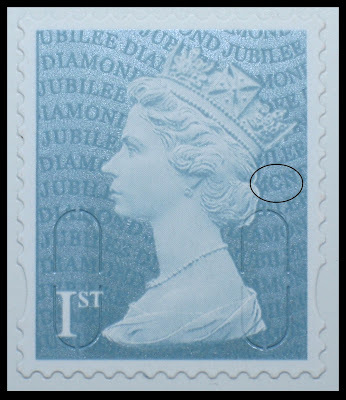 SO not a variety, but an interesting variation, because there seems to be space there for the whole letter 'M' - and even if there was not, the rest of the stamp shows part letters. Are there any more little differences waiting to be discovered? Let us know if you find any. UPDATE: Robert reports that the same omission occurs on the 1st class Business Sheet. My thanks to Ted Shorney for the following analysis of the differences between the latest De La Rue printing and the new Walsall printing of Horizon labels. I haven't had an opportunity to confirm these findings yet - haven't had a Horizon label for a while in fact. 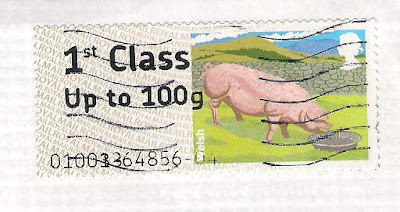 Everybody must be using the stamps they bought before the rates went up! 1. The background of the DLR is darker than the Walsall with the Royal Mail overprinting on the DLR more prominent. 2. The shading on the face, hair and neck and around the shoulders appears heavier on the Walsall printing. 3. The pearl in the earring is darker on the Walsall printing. 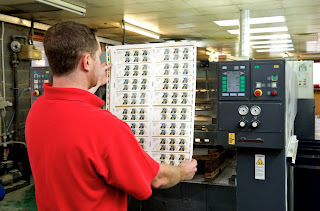 on the Walsall printing they are more complete with only a few gaps. 5. The security cuts are basically the same except for the outer half-moon cuts. These are separated into two parts by a small tab (8x glass again needed). On the Walsall printing these tabs are 0.4mm wide, and on the DLR they are 0.3mm. 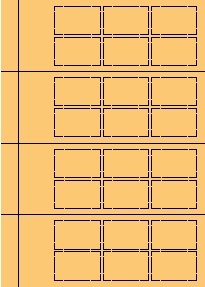 It is possible that differences 2 and 3 are exaggerated by the lighter shade found. If the shade varies between batches these other differences may not be as noticeable, in which case #4 and #5 may be more obvious. I'd be interested in other observations as these spread round the country. The background shade is not constant and therefore should not be relied upon. When the labels have been printed in the post office it makes identifying #2 and #3 virtually impossible, but there can be no mistake identifying #4 and #5 so the seven labels I hold plus the two I already had are all Walsall printed. Charles Dickens Limited Edition first day cover - many signatories. 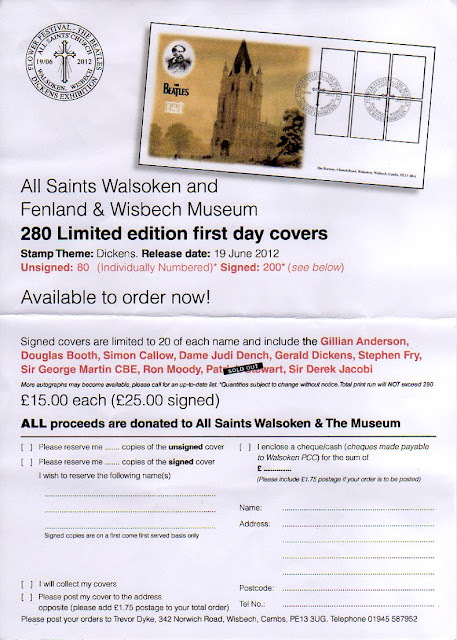 All Saints Church Walsoken and the Fenland and Wisbech Museum is producing a first day cover in a limited edition of 280 for the Charles Dickens Bicentenary set on 19 June. The organisers have gone to a great deal of effort with this cover and have the following actors actresses and others organised to sign the covers: Gillian Anderson, Douglas Booth, Simon Callow, Dame Judi Dench, Gerald Dickens, Stephen Fry, Sir George Martin, Ron Moody, Sir Derek Jacobi. Patrick Stewart covers are sold out! Please use the order form or contact the address shown on the form above - click on the image to see it larger. Good luck to Trevor on this fundraising effort. Sorry if this didn't show earlier! 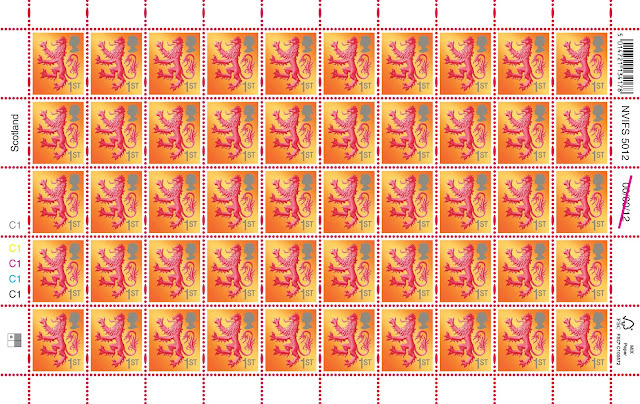 Walsall Security Print has produced the self-adhesive base sheets for these extra special stamps ready for the London 2012 Games, held from 27th July to 12th August. 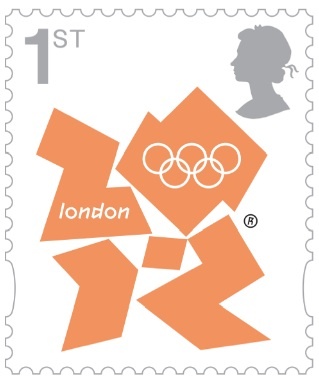 These show common details for all the stamps, but leave blank the space for the image of the athletes and text details including the name of the athlete and event. 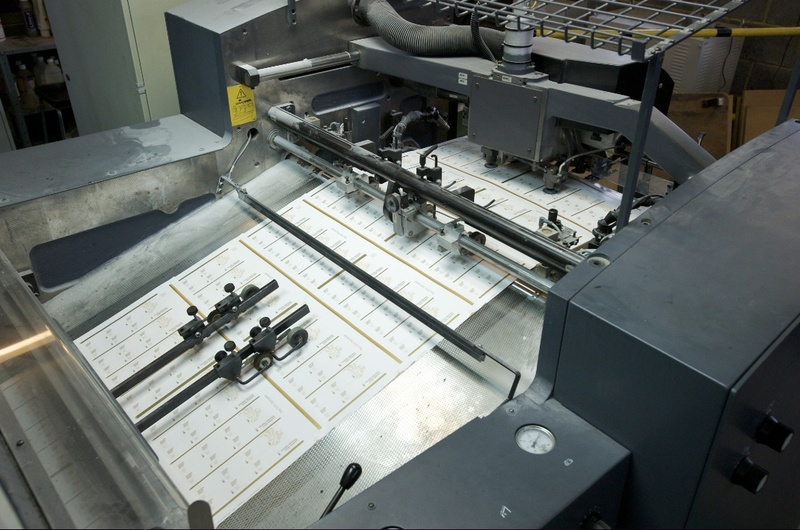 The sheets will be distributed to six regional printers in secret locations, selected to ensure speedy distribution to the 500 Post Office branches which will have the stamps on sale by noon – on Sundays if necessary - following each gold medal win. Royal Mail has teamed up with photo agency Getty - the Olympic Games’ Official Photographic Agency - who, when each Team GB athlete wins gold or team gold, will send a selection of the best images to Royal Mail’s design team. 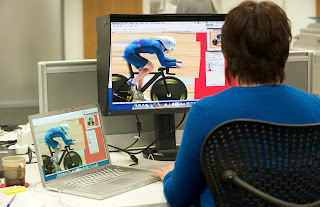 The team will have just one hour to review all the images sent, locate the most fitting and atmospheric image, crop and if necessary refine the photo, add the name of the winning athlete or athletes and the event and then position it within the templated design of the six-stamp miniature sheet. The border of each miniature sheet will also feature the athlete’s name as well as the date of medal win and the venue of the winning event. 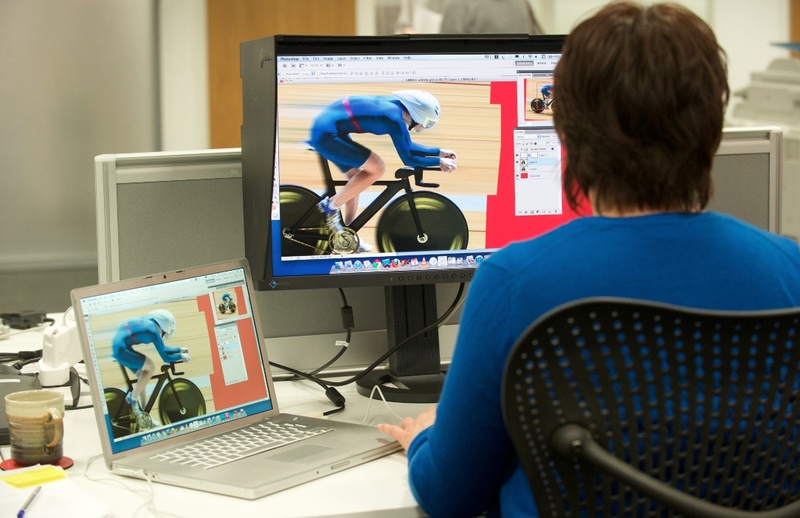 Once the printers receive the artwork file from Royal Mail, they will then digitally overprint the athlete’s image, name and the winning event. 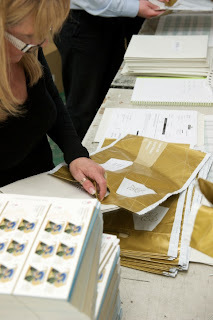 The finished sheets will be collected from the printers by a fleet of 90 Royal Mail vehicles for distribution to the Post Office branches the following morning. The stamps will be on sale by noon at these Post Offices. 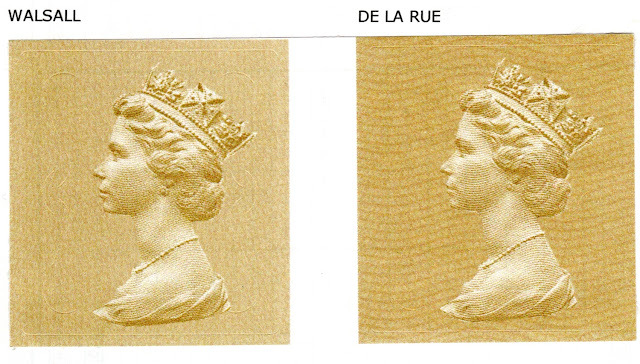 An additional 4500 Post Offices will receive the Gold Medal stamps within a week. Details of the 500 Post Offices will be announced later this month. Comment: when Royal Mail wrote that "they will then digitally overprint the athlete’s image" they referred to the way the image is transmitted; the base sheets, and the overprint are both litho printed. 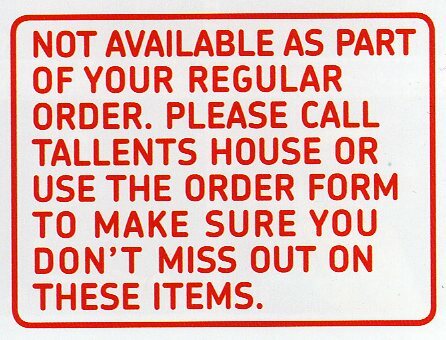 "PPI designs which are used on official stationery are not valid if cut out or detached from the cover, label or form on which they are printed. 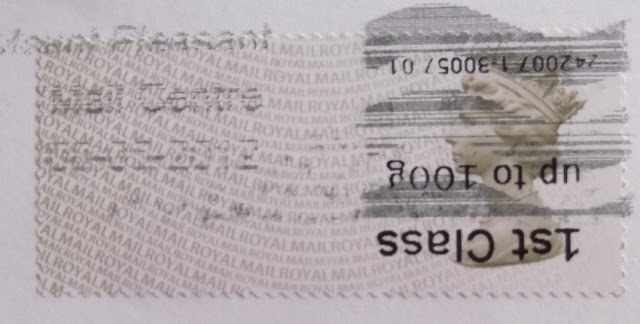 Similarly any post paid design, without a monetary value if cut out or detached from the stationery for which it is intended, is not valid for postage. 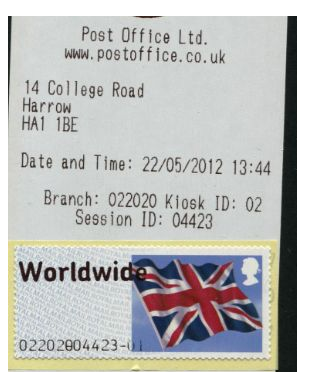 "Any item found to have been posted in this manner from 1 August 2012 will be subject to our revenue protection process and will be pulled from the mail stream and a fee assigned to the item for collection at the local Delivery Office in the form of a surcharge." 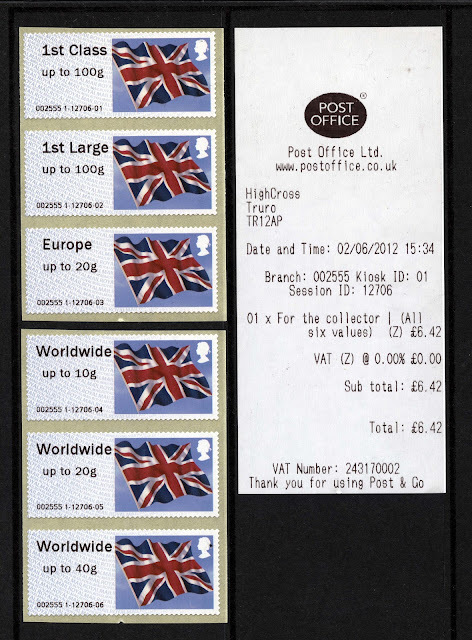 “No Cut-outs are valid for postage, Revenue Protection teams are instructed to take such items aside and surcharge as appropriate”. Which isn't anything like the same thing. The original statement says "without a monetary value"; the 'clarification' says something quiet different. We all make mistakes, but if you are going to make what amounts to a definitive policy change statement, it makes sense to double-check that it says what you mean it to say, and to get it right! We will, of course, be interested to see any surcharged - or indeed unsurcharged - mail which bears cut-outs. I have some old 3p postcards which I might use, in their entirety, on a larger item. Not a cut-out, so should be OK.
Olympics 2012 Gold Medal stamps - format and availability. 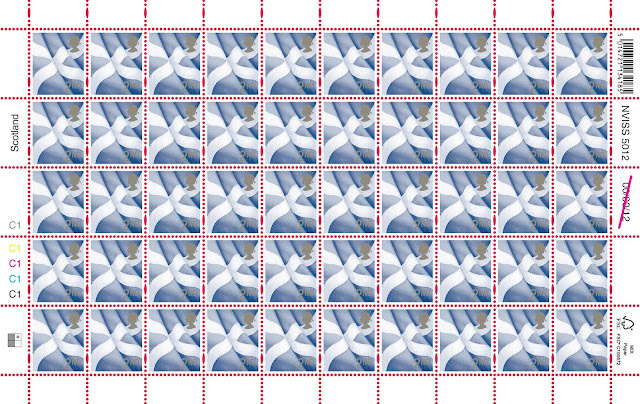 The stamps will be issued in self-adhesive miniature sheets of 6 stamps with information in the margin. 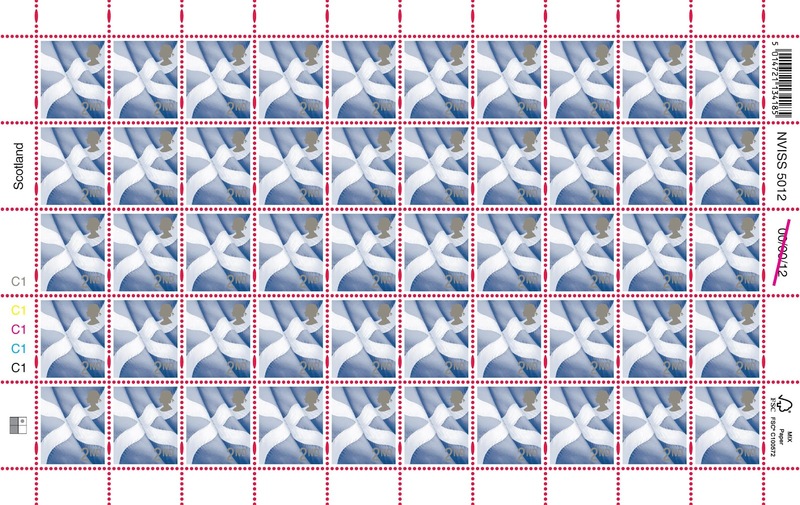 EDIT: The stamps will be on sale by mid-day the next day at 500 Post Offices. 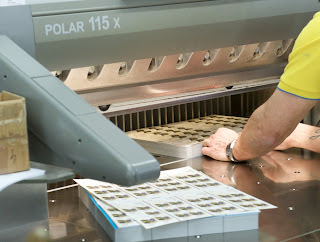 An additional 4500 Post Offices will receive the Gold Medal stamps within a week. There will be one for each gold medal, individual or team. 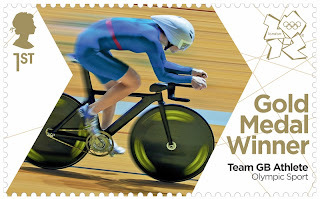 In the event of an individual winning more than one gold, then they will get two different stamps using pictures from the event where possible. 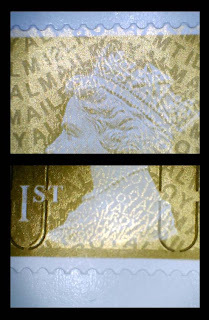 If there is more than one gold on in a day, then there will be two stamps/MSs the next day. 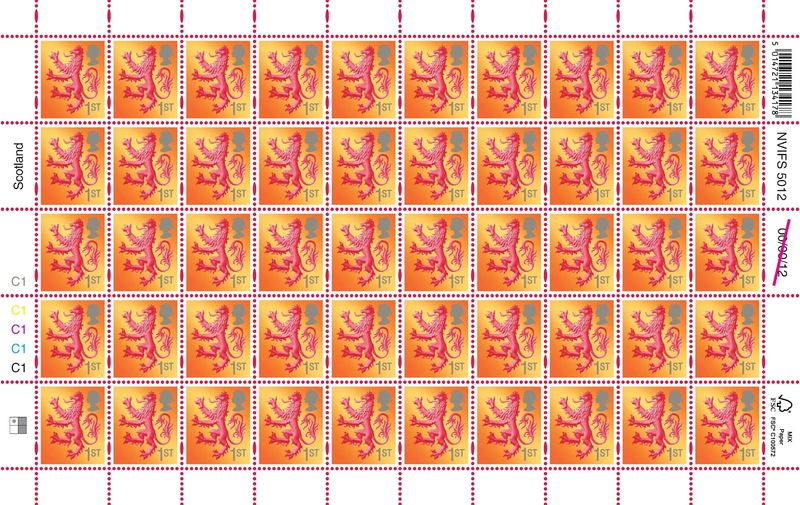 Royal Mail FDCs will carry the complete miniature sheet of 6. Only one style of postmark will be used. 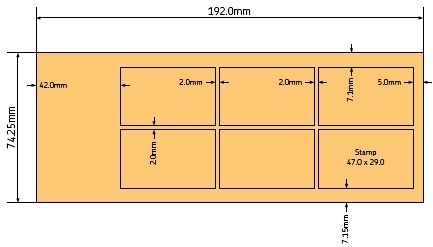 The miniature sheets will be printed in A4 sheets of 4 with a narrow selvedge at the left. This may also contain information about the medal winner, but not against every MS. 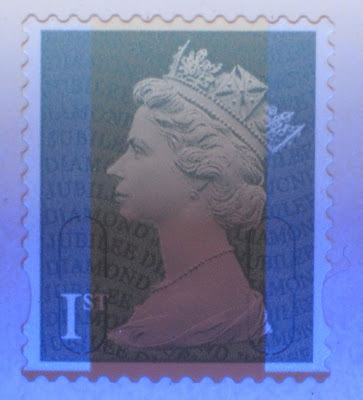 The Royal Mail press release said that stamps would be available singly, but we await confirmation that postmasters will be expected to separate stamps from the MS.
UPDATE: Stanley Gibbons catalogue editor confirms each gold medal stamp will be assigned its own SG number providing the stamps are readily available. More technical information on our webpage. 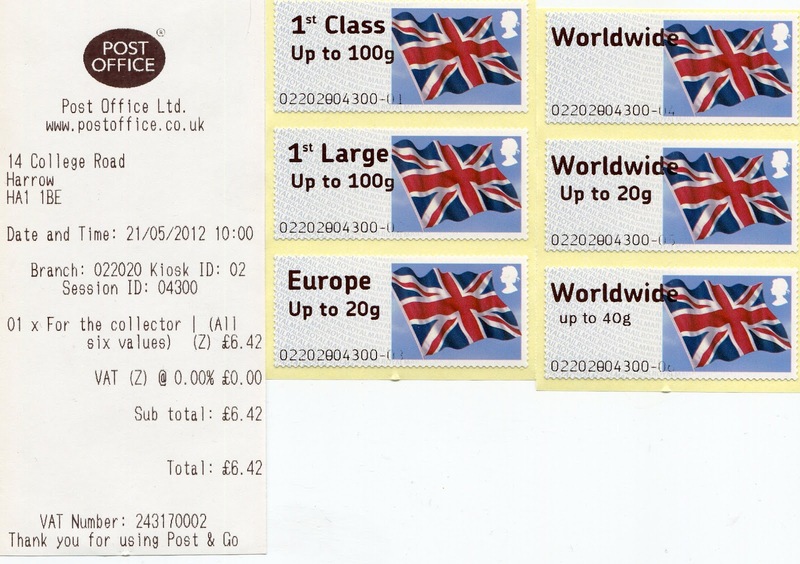 Further update: We understand that postmasters will be told that single stamps may be sold. This probably means the use of scissors! 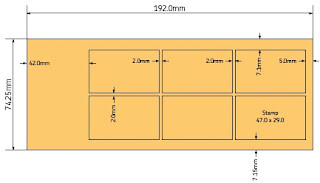 The location of the digital overprinter (but not the name) will be shown in the selvedge of the A4 sheet at bottom left. The history, symbolism and personal stories of the Olympic Games will come to life through philately this summer at a special exhibition presented by the International Olympic Committee (IOC) and the British Library. 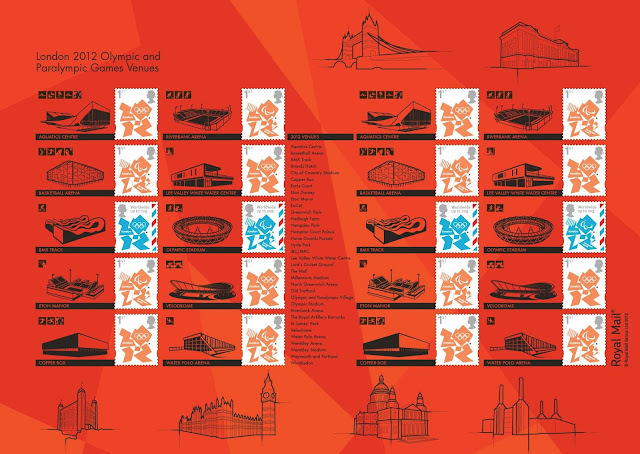 Olympex 2012: Collecting the Olympic Games is a visually striking exhibition that will use postage stamps, postcards, letters, programmes and maps to provide unique insights into the Olympic Games, past and present. Beginning with the first modern Olympic Games in 1896, Olympex 2012 will also focus on the London Games in 1908 and 1948, bringing the story into the present day with the London 2012 Games. 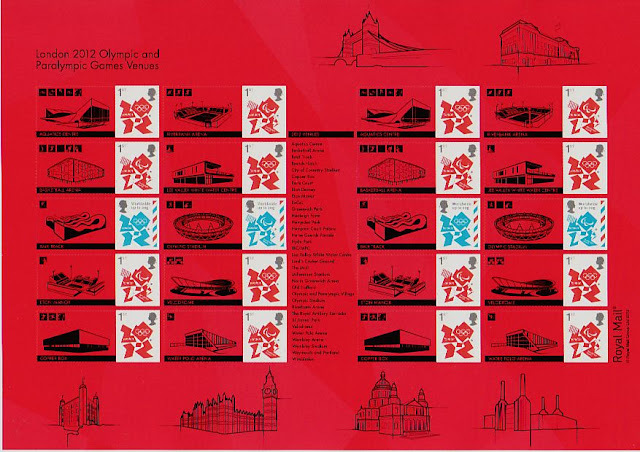 Reflecting the manner in which the Olympic spirit touches the individual spirit, the exhibition is drawn largely from the philatelic collections of private individuals. The interests of these individual collectors give this exhibition a unique character and demonstrate how each of us can become involved in curating the Olympic story. More than 2,500 stamps will feature, tracing the way that Olympic iconography has evolved across more than a century. Also included are handwritten postcards and letters from athletes, spectators and public figures – recording with vivid immediacy the ways in which the Games touched their lives. 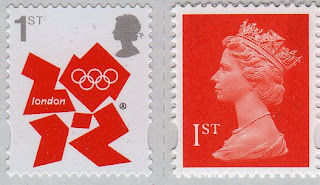 Olympex 2012: Collecting the Olympic Games is part of the London 2012 Cultural Olympiad. The exhibition will be held in the Front Hall of the British Library, St Pancras, from 25 July to 9 September. Admission is free. Faststamp found with inverted service details from Tudor Street. I haven't seen one of these before - which, on reflection, is something of a surprise. In theory it should only be possible to feed the stamps into the machine lower-edge first. Unless the stamps were wrongly wound onto the core, or if this was a part-roll which had been re-wound and fed through in error. Thanks to Robert for providing the picture of the stamp "received this cover this morning which was bought and posted yesterday from London" (it also shows the new ink-jet postmark from Mount Pleasant). The stamp was bought from the kiosk at 2a Tudor Street, also known as Ludgate Circus, in London. It's possible, of course, that the fault was a result of a software error. Who knows?